I’m not sure if you saw it, but the PPA featured the episode with Dan Frievalt a couple weeks ago. That episode has been a hit with the listeners. It didn’t take long for it to hit the this show’s top five listened-to episode. That is pretty exciting stuff. I’m also playing with some additional ideas, and I’d like your feedback. I’m considering putting together a newsletter that combines a month’s worth of show notes together to make things easier to find. Another thing I’m looking at doing are transcripts of the shows. If these ideas appeal to you, I would love to know. And if they don’t, well, I’d like to know that to. Let’s get to this week’s interview. When going through the audio in post-production, I found a couple spots where the recording gets a little fuzzy. I’ve cleaned it up a bit, so I hope it doesn’t affect it too much for you. We’re fortunate to have Woody Walters on the show today. Woody is a consummate artist, print competition judge, professional photographer, teacher and speaker. For years, he has shared his artist vision and passion for photography with photographers from around the world. His Digital Photo Candy website provides a unique resource for photographers and digital artists for creating edgy, mind-blowing images. During the Woody mentions Frank Frazetta as an illustrator. I remember his work from a Molly Hatchet album and several books I read during the 80s and 90s. Make sure you check out the images we talked about and for links to his websites and other items of interest. As always, feel free to give ratings and comments on iTunes or leave comments on the show notes site, too. If you’ve got questions, you can post them on site or via twitter using #12elements. It can be a little intimidating to do print competition. I remember the first time I heard about the 12 Elements of a Merit Print. The one that confused me the most was Storytelling. I wondered, “How are we supposed to tell a story with a single image?” It seemed a little crazy to me. Then I sat in on a print competition. Wow. That changed everything for me. I saw images that had impact and stories and technical excellence. The judges sat coolly at the front of the room and could score images in seconds. I had barely registered a fraction of the detail of the image before the score was announced, and the next title was being read. After the judging was over I could talk to the photographers that made the images and found out all the stories behind their images. That is where this podcast gets its roots….from the stories behind all the wonderful photos that professional photographers call their best. In this episode, I talk about the following images that didn’t merit at IPC this year. You can see the images and see find out what the judges had to say in their critiques by listening to the episode. In several of the episodes, my guests and I have talked a bit about what judges say during the actual print competition. I started thinking that maybe everyone isn’t familiar with that. I found a great website called printcompetition.com. It has a very modest fee ($10/three months), but it allows you to see images and listen to some print judging. If you’re curious about what that is all about, this might give you a pretty good idea. I interview Master Photographer and national speaker Dan Frievalt of Frievalt Photography in Green Bay, WI. I’ve been trying to get Dan on the podcast for a while and I was finally able to. If you’ve not seen Dan’s work or see him speak, I seriously think it is something you should do. He does some mind blowing stuff that has a great balance of grit and beauty….if that makes any sense. Dan has also taught at After Dark and he shares some stories from those experiences. Dan and I talk about several of his IPC 2015 images and the stories behind them. Dan really puts it all out there and talks about the story behind each of them. Dan also talks about his cadre of friends that provide him support and help be extra eyes for his images to help him improve. I think that is an important aspect of print competition. Toni Harryman talked about that, too, so if you’d not heard that interview, I suggest checking it out. Lastly, if you like Dan’s images and would like to watch his process, he has started a new educational site called, The VALT. Dan publishes regular videos out there that show how he gets from his source to final images. It is pretty cool and he leaves nothing out. If you have requests for questions for future shows, let me know and I’ll talk about them on future episode. You can email me or hit me up on twitter. My twitter handle is markoehler. Use the hashtag 12elements to help me find those tweets. I want to thank all of the loyal listeners of the podcast. The show passed its 1000th download in the last week, and in the last couple days downloads have increased eight times what they have been. Thank you for listening and sharing the show with others that you think appreciate the information and stories behind the great images. This show continues to talk about images, but with a little twist because the images of our guest today differ from a lot of images we normally see. I hope you enjoy the stories and the images. On this episode of I talk with Master Photographer Thom Rouse from Chicago, IL. We’re lucky to have Thom. He has some cool stuff. I have his book titled, “Latent Icons,” which has an amazing collection of beautiful images. Thom’s art integrates fine portrait with surreal elements to create something I find unique. I met Thom last February at the Iowa Winter convention. He served as one of the print competition judges and was one of the final keynote speakers for the convention. I admire Thom work as it cuts across some of of the traditional images that we see in print competition, but still maintains a connection to the 12 Elements. If you have requests for questions for future shows, let me know and I’ll talk about them on future episode. You can email me or hit me up on twitter. My twitter handle is markoehler. Use the hashtag #12elements to help me find those tweets. If you’ve been watching Facebook over the last week, you have probably seen all the amazing 2015 PPA IPC print competition loan images being shared. There are some incredible professional photographers out there. I believe each of those images has a story behind it. That is what I want this podcast to be about: the stories behind great photos. I try to reach out to as many of the photographers as I can, but I know I don’t get to see all of them. If there are images that you think have a great story behind them, let me know, and I will try to get an interview with the photographer that made them. This episode features an interview with Mark Bortz of Fusion Edge Photography in Robins, IA. Mark hails from my neck of the woods. I see him and his wife at many of the Iowa events I attend. I’m excited to talk with him today about some great travel photography he entered in the International Print Competition this year. His images went 4 for 4 in the photographic open category. If you have requests for questions for future shows, let me know and I’ll talk about them on future episode. You can email me or hit me up on twitter. My twitter handle is markoehler . Use the hashtag #12elements to help me find those tweets. I hope you have all had a good week since the last episode came out. 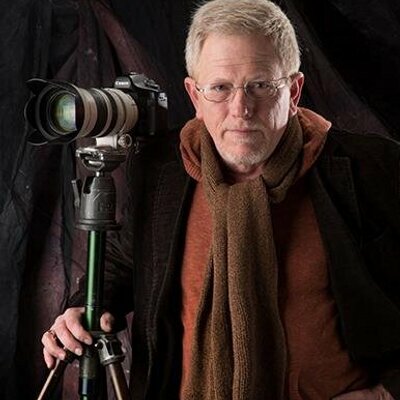 Today I’m talking with speaker, International Print Competition (IPC) judge, and Professional Photographer Dennis Hammon of Hammon Photography in Idaho Falls, ID. I met Dennis back in the late 90s when he spoke at McKennavention. I’ve always been amazed by his images. He was a judge at the Iowa print competitions a couple years ago and just helped judge at the 2015 IPC. We talk about Dennis’ 2014 IPC images shown here. Please make sure you go out to Dennis’ site to see more of his work and keep up with what is going on with him. As I work on booking guests for the show, I try to mix things up between the different genre of pictures. I try then to gauge the popularity of the shows based on the number of downloads or listens it has. Most of the time we talk about pictures that have done well and not those that haven’t done so well. I do that because I don’t want to put people on the spot for images that didn’t merit. I guess, I don’t want to embarrass my guests. But I have not problem embarrassing myself. My IPC 2015 case went 0 for 4. This week I got my critiques from the case. I thought it might make an interesting show to hear what the judges had to say about those images and areas they thought they were weak. For copyright concerns, I can’t broadcast the actual comments, but I can paraphrase what they said and my thoughts on those comments. If you think that is something you’d like to hear and incorporate into your work, let me know in the show notes or drop me an email. Sorry for the bit of inconsistency in getting episodes out. The recent IPC was causing me some scheduling issues and affected different, scheduled guests. I’m glad to see that we are approaching our 1000th download for the show. It seems to be resonating with you, the listeners. I want you to find value and interesting stories with each episode. If you have guests you’d like to hear on the show, please let me know and I will work on getting them on the show. Also, if you have topics or questions, forward them on, too. I interview master photographer Toni Harryman of Johnson Photography in Norwalk, IA. I’ve known Toni for several years. She was the Profesional Photographers of Iowa president when I joined PPIowa. Toni has been one of the great advocates of print competition I’ve met. She always seems to be helping photographers get started with and to grow in print competition. I have been trying for awhile to get her on the podcast, and it finally worked out for her to join us to talk about how to started and tips for you. Make sure you get out Toni’s website to see her work and contact her. Remember to go to iTunes and leave comments and rate this show. I’ve found that an iTunes comment can take up to 48 to appear, so don’t worry if they don’t show right away. Also, if you’d like other options for listening to the podcast, let me know, there seem to be new ways to listen to podcasts all the time. If you have competition prints that have merited, especially at 2015 IPC, I would love to talk to you about them on a future episode. You can contact me through this website or via email at the12elements@mark-oehler.com. Watch for the following future guests on podcast. Remember, you can subscribe on iTunes to automatically get new episodes. Well, PPA just finalized the 2015 International Print Competition last week. If you’re like me and you watched any of the streaming of the print judging, you are most likely aware of the incredible images entered this year. I hope you felt confident enough in your images this year to enter, and if you did, I hope you did well. If not, I suggest thinking about images for next year and maybe get inspiration from the guests on the show. Today I’m talking with Certified Professional Photographer and national speaker Bree Barber Adams of Bebe Charm Photography in Mansfield, TX. Bree just completed her PPA Masters degrees at the 2015 International Print Competition. I only recently became familiar with Bree’s work. I have to say, she does great competition and client images. In April, one of her images graced the cover of Professional Photographer magazine. In the episode Bree talks about the images she entered at the 2015 PPA International Print Competition and how taking a risk gained helped her achieve her PPA Master Photographer Degree. Make sure you check out Bree’s work on her website. Since several of the images that we talk about were selected for the PPA Loan Collection and the final awards have not be made, but I can share these. The other the images can’t be shared yet, but come back to this page for a link to those images.